Two of our favorite Stargate guest stars are headed for the halls of Mortal Kombat in a new Web series. UPDATED to include actor David Nykl! Two of our favorite Stargate guest stars are headed for the halls of Mortal Kombat. 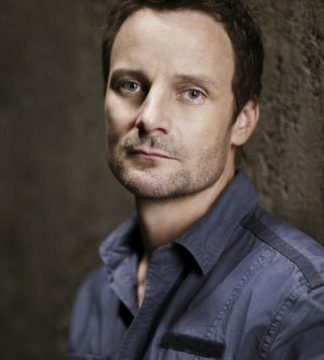 Ryan Robbins and Tahmoh Penikett will appear in a new Web series based on the hit video game franchise. Robbins is known to Stargate fans as the duplicitous Genii leader Ladon Radim on Stargate Atlantis. He’s now a regular on Sanctuary, as tech geek Henry Foss. He’ll play the character Raiden, god of thunder, in the Web series. 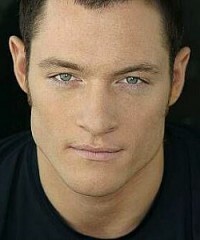 Penikett is, of course, better known for his stints on Battlestar Galactica and Dollhouse. 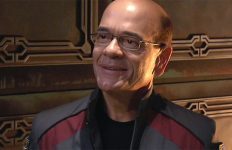 But before that he played one of the first humanoid Replicators (“Third”) in the Stargate SG-1 episode “Unnatural Selection.” He’s been cast in Mortal Kombat as Kurtis Stryker, “a New York City policeman who uses guns, nightsticks and tasers when getting his combat on,” according to Blastr. GateWorld has also just learned that Atlantis alum David Nykl (Radek Zelenka) will also be involved. “I play Lance, the studio executive, who has a ‘disagreement’ with Johnny Cage,” Nykl told GateWorld exclusively. 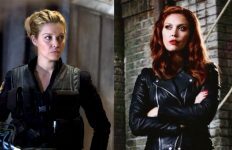 The series is being directed by Fame director Kevin Tancharoen, who grabbed Warner Brothers’ attention last year after he released the unofficial short film Mortal Kombat: Rebirth, starring Jeri Ryan (Star Trek: Voyager) as Sonya Blade. 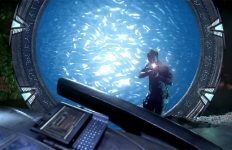 Tancharoen had heard that the studio was interested in rebooting the franchise after a pair of lackluster films in the late 90’s, and put out the fan film as his proof of concept. The film was viewed more than 10 million times, worldwide. Ryan is reprising her role for the Web series. Warner Premiere also announced this week that Michael Jai White (The Dark Knight) and Darren Shahlavi (300) have also joined the cast, as “Major Jackson ‘Jax’ Briggs” and “Kano,” respectively. White starred in the 2010 short film (below). There’s no green light for a feature film yet, but consider the Web series the next step. It is currently filming in Vancouver, and is expected to be released online in coordination with the release of the next Mortal Kombat game on April 19 (PS3 and Xbox 360). I watched that video last year. It could be good if they just renamed every character and made it it’s own thing but that is not Mortal Kombat.